Are you planning a move in the near future? There’s a lot of preparation that has to happen before moving to a new house, from getting rid of clutter to hiring movers and more. For pet owners, that moving checklist is even longer. Dogs and cats require special attention during a move in order to have a smooth adjustment to the new home. 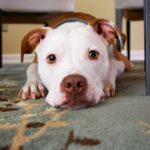 If your family is getting ready to move to a new house, here’s what you need to do for your pets. 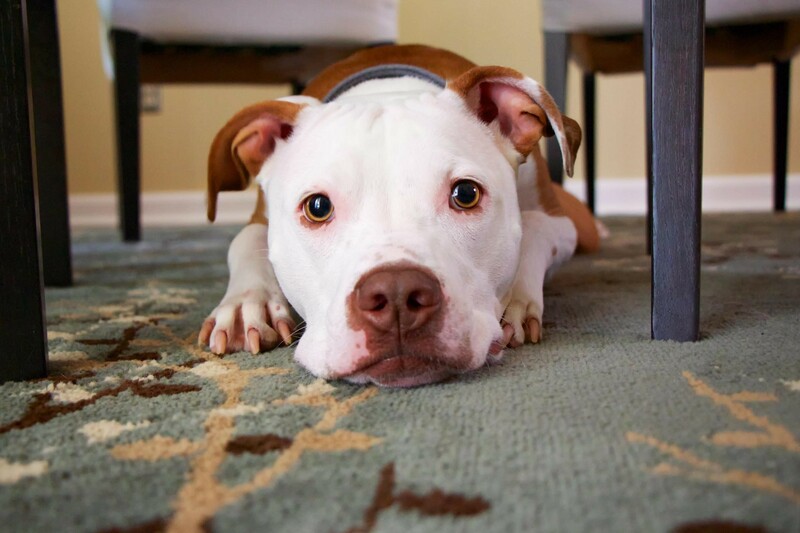 As you’re thinking about moving, consider how your pet’s needs factor into your home choice. Owners of senior animals might choose a house with easy-care flooring and a quiet spare room, whereas families with a rambunctious puppy might opt for an open floor plan home with plenty of room for play. Have a cat? Deep windowsills are the perfect perching spot so you can forgo bulky cat trees. Consider the neighborhood as well. Heavy traffic could pose a danger to outside cats and escape artist dogs, whereas dead-end streets are much safer. Areas with wide sidewalks, hiking trails and parks offer a variety of places to walk your dog so you don’t grow tired of traveling the same route. When the moving crew is at your house, it’s best to keep your pets out of the picture. You may be able to crate cats and calm dogs while your hired movers are working, but some pets get anxious or disruptive around strangers. Rather than risk your move taking longer than it needs to (and costing you more money), hire a pet sitter to watch your dogs and cats while you do the bulk of the moving. Rather than opting for a kennel, which could be scary for your pet, consider hiring a sitter who will watch your pets into his own house. The safe, home-like environment can prevent boarding from being a scary experience for your companions. Also take steps to reduce your pet’s anxiety during the move. Not every pet copes well with big changes, and since you can’t talk to them, you have to reassure pets in other ways. Wait until the last day to pack up your pet’s stuff and maintain their usual routine throughout the moving process. When you arrive at the new house, set your pet’s items in a secluded area so they can slowly adjust to their new surroundings. However, you should still give plenty of love, treats, and play along the way. Extra affection will provide reassurance and calm your pet’s nerves. Once you’re settled in, it’s time to introduce your pet to his new neighborhood. Exploring with your dog is a great excuse to check out local dog-friendly restaurants, coffee shops, and brewpubs. Head to the Fort Smith Dog Park for a chance to meet other dog owners in your neighborhood. On top of the fun, there are some administrative aspects to handle after moving with your dog. If you’re moving across town or to new a new place altogether, you’ll need to transfer pets’ veterinary records to a new practice and update the contact details attached to your pet’s microchip. Out-of-state moves could also require updating rabies vaccines; this helpful guide from GoodCall lets you find out what each state requires to move with a pet. As much joy as pets bring to the family, there’s no denying they require extra work. However, when you take time to make your move stress-free for pets, you’ll make the transition easier on everyone. Rather than hiding under the couch for the first weeks after the move, your pet will be ready to make your new house his home.